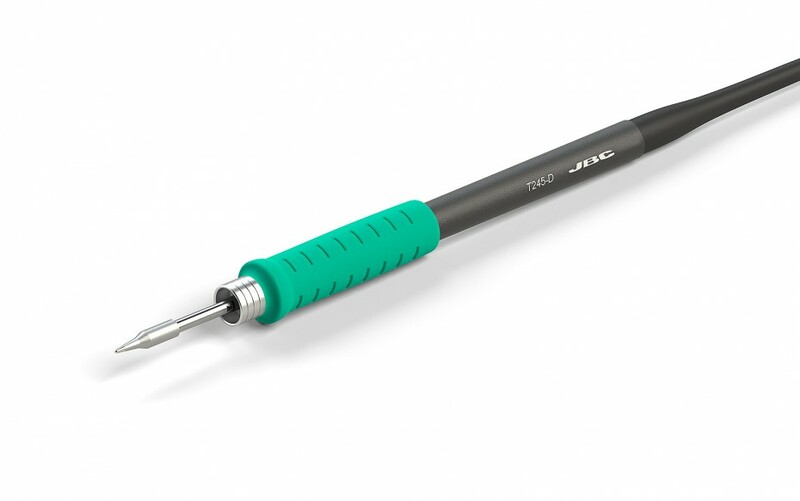 This soldering iron handle for general soldering purposes is perfect for both SMD components and for jobs with high power requirements (e.g. ground plane soldering). The Iron comes with Anti-Slip Handle and 1,5m (4.9ft) cable. It works with C245 cartridges.